Kars4Kids is a national organization dedicated to addressing the educational, material, emotional and spiritual needs of disadvantaged Jewish children and their families. We distribute donated items, including food, clothing, home furnishings, toys and crafts through our own network as well as other charitable organizations throughout the world. In addition, we pay for children’s education, tutoring, summer camp, family mentoring, educational and other support services. Kars4Kids Inc. is a registered national, 501(c)(3), non-profit organization, which was established in 2000. Kars4Kids primary focus is on children who, without intervention, are at high risk to experience failure, social challenges, depression and other factors that lead to anti-social, self-destructive behavior. By becoming actively involved in these children's lives over the course of their school years, Kars4Kids equips them with the stability and success they need to build wholesome, functional families of their own. Kars4Kids Inc. provides these children with a wide range of support services. Kars4Kids funds programs that provide religious guidance and education, summer camp, hundreds of volunteer mentors, parent education, family retreats, holiday celebrations and practical, financial assistance for children aged 6 to 18 and their families. Kars4Kids utilizes the traditions, values and moral anchoring of the children's heritage to create a wholesome structure. By educating children in their heritage and involving their families in its traditions, Kars4Kids succeeds in reinforcing optimism and stability in their homes. Many charities supply money to alleviate poverty and its destructive consequences. However, when the donated food is eaten, the clothing worn out and the rent paid, nothing has changed. The family remains mired in the difficulties that have rendered it unable to cope. Kars4Kids is unique because it takes the entire family situation into account and offers help from every necessary angle. And it sticks with its families, keeping up contact with children until they are grown and thriving in their own family homes. A strong core of several hundred volunteer mentors is the key to Kars4Kids’s success. They act as counselors at Kars4Kids funded summer camps, as well as year-round friends and advisors, tutors and learning partners to the children. They serve as intermediaries when children face new challenges at school or at home, helping Kars4Kids to channel the right help into each situation. They also involve the parents and children in Kars4Kids funded holiday programs, retreats and learning opportunities, bringing isolated, struggling families into the wider Jewish community, and providing them with a sense of belonging, warmth and friendship. 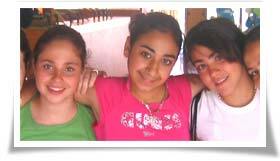 Kars4Kids accomplishes much of its purpose through grants to well established organizations such as Oorah. Oorah’s programs include: Enrollment and tuition payment for children in Jewish private schools, thus removing many from troubled inner city public schools; summer camp with a strong component of one-on-one mentoring; food and gift packages for major holidays; tutoring and homework assistance; one-on-one adult education and/or mentoring for parents; clothing donations; school-family liaison; family retreats; holiday gatherings; as well as financial assistance to meet a wide variety of individual needs.